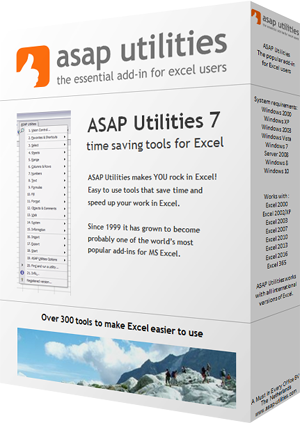 With this utility you can import an Excel file into your workbook. The sheets of the imported file will be placed at the end of your workbook. If the name of a sheet already exists then an incrementing number between parenthesis () is added to the end of the name. Any macros that might exist in the file that is imported are ignored and not imported.